So this is actually a big topic that I get many concerned looks with and a ton of questions about. 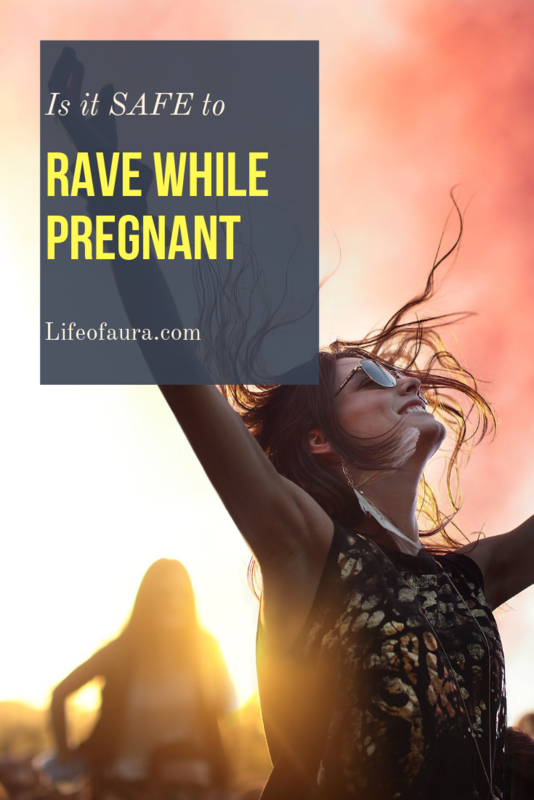 Raving while pregnant is not impossible. You can still have a ton of fun and a perfectly healthy baby as well. Pregnancy in itself is a pretty tiring and worrying thing for many women. And you should always take care of yourself and baby first. But that does not mean you have to give up everything in your life. 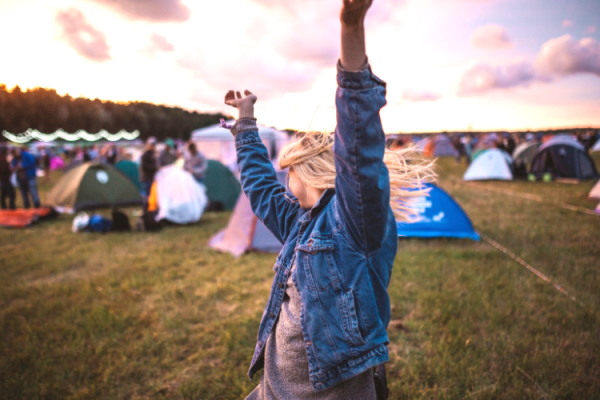 While it may mean giving up drinking, smoking, and definitely drugs, it does not mean you have to give up music or festivals and raves. 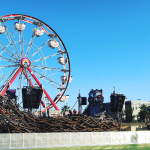 Related: How to go to EDC Pregnant? 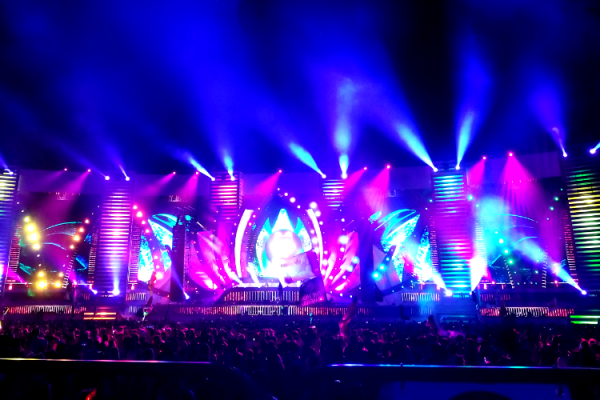 It isn’t too much different to go to a rave while pregnant than it is when you aren’t. It just requires more caution and a bit of planning ahead of time. 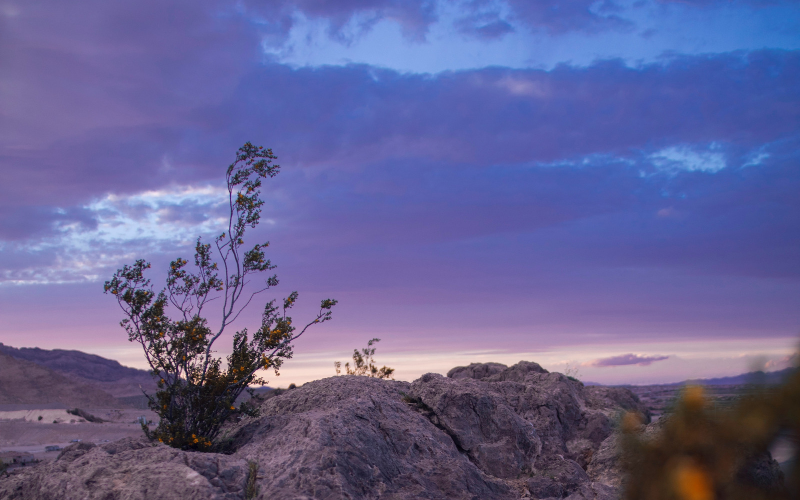 You need to know what to expect where you are going to go. If it is a festival or a rave at a nightclub. Both require different planning. To be honest, I have found that raving at a nightclub is actually more difficult because nightclubs get packed and have such limited spaces. If you do choose to go to a nightclub for a rave I suggest taking a look at their pictures to see if there are any seating and the layout of the space. This way you have a sense of if you will have enough room to step away from the crowd. While you may be the type who loves being at the rails or directly in front of the artist I suggest avoiding that. The reason being that if you are in the front or in the middle you will have a higher possibility of getting trapped in. Being trapped in is a problem for a few reasons. One is that you are pregnant and you will have to go to the bathroom plenty of times. Two, you have a huge chance of being pushed around by others and fallen onto. Three, mosh pits happen and if you are stuck in the middle or front when it happens you can get seriously hurt and potentially harm your child. This goes for raves anywhere and basically your daily life, but you should not be consuming any alcohol of any kind. It is just a normal pregnancy thing so it shouldn’t be too hard to make the change. Water is your best friend in pregnancy and at raves. It is the universal lifesaver. So drink tons of water where ever you go because any form of raving require water. With raving at a nightclub, you need to buy water there because they don’t usually let in any water packs or outside drinks. Truly this is the best idea when you are pregnant and want to still go to a rave. With festivals, there are many more ways that they can accommodate pregnant women and keep them safe. Now my favorite festival to go to, and one that I personally went to while pregnant was EDC (Electric Daisy Carnival). 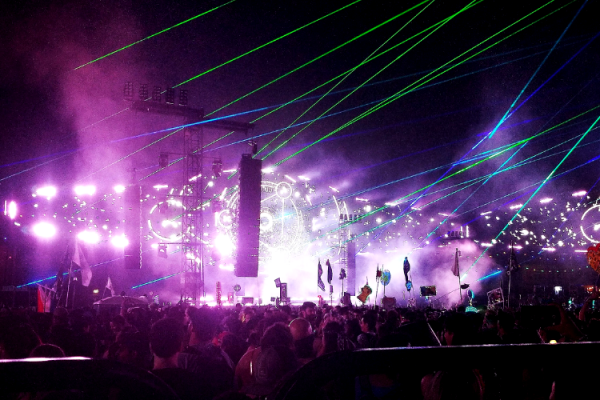 I wrote a whole post about being pregnant at EDC if you want to check that out. Just like with going to a night club at a festival you should not be drinking any alcohol and instead tons of water. The best thing about a festival is that you can take your own water hydration packs and it makes it much easier to have water when you need it. And you get to be hands-free. They even have some amazing designs that can match your festival outfits just like the one below. Another thing to avoid is getting trapped or going to close to the front when it is getting packed. Just because you need to avoid getting bumped into a ton and potentially getting injured. Do your best to be careful, it isn’t too hard, but sometimes people forget that they are pregnant (if they aren’t showing much)and just get sucked into the excitement. This is the biggest thing I recommend to all who are pregnant and want to go to a festival. ADA at many festivals they have platforms and chairs so that you can be safer and still apart of the crowd. On these platforms, it doesn’t get too packed and gives you room to be comfortable and sit when you get tired. Getting an ADA wristband also means you get to use the ADA bathrooms and that is a big thing. Needing to go to the bathroom often is a normal pregnancy thing and long lines at the bathroom are very painful when you are pregnant. Good thing is that the ADA bathroom lines are short and are closer to the ADA platforms so you don’t have to go too far. 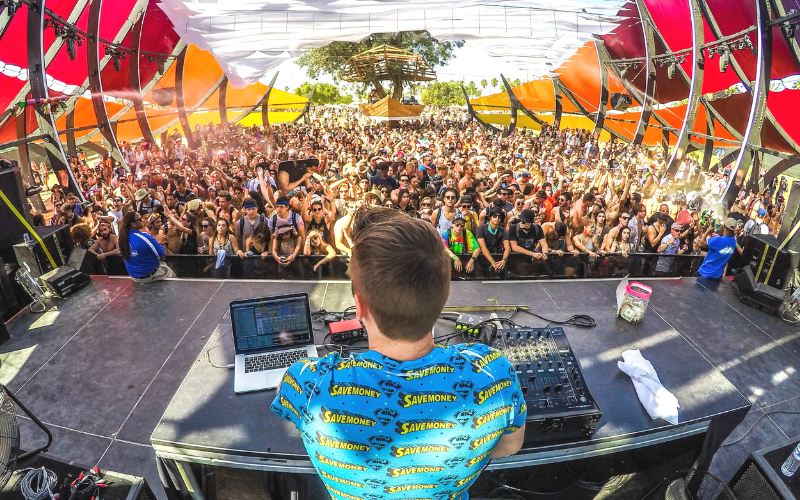 For both nightclubs and especially festivals, it is best to go with other people. 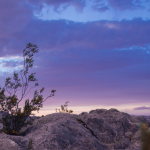 Now at places like EDC Las Vegas you are bound to make tons of friends and everyone will try to help out when you are pregnant because they worry for you. 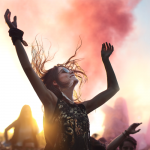 It is just the PLUR attitude that makes it easier at festivals to have a blast and be careful due to being pregnant. Either way, a friend with you can help you get in and out of crowds and give you more of a bubble of space. This way you are less likely to be pushed and have a good amount of personal space from other people. 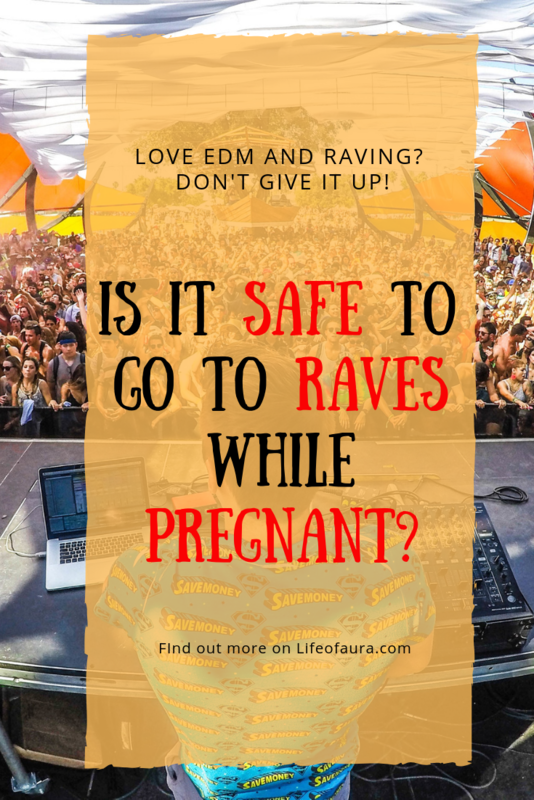 Going to raves you want to have the best time, but being pregnant you can get hot or cold quickly. If you are going to choose a night club then make sure you wear something appropriate. But I suggest no heels because that is going to hurt a lot and throw off your balance a bit. Just be comfortable. 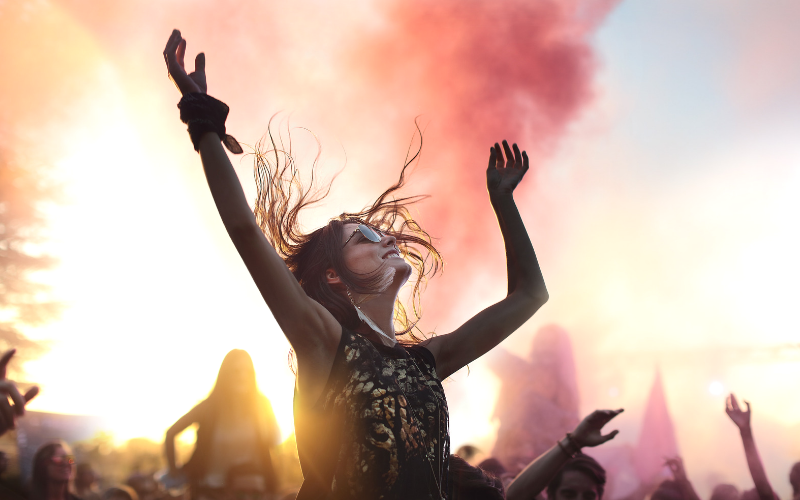 With a festival, you need to be a bit more prepared because it gets quite hot in the crowd. But on the platforms, you can get cold the later at night it is. Pack some nice comfy shoes, a jacket, and your favorite rave outfits. Just try to check out how the weather will be beforehand. 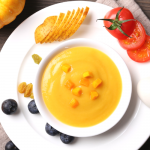 Previous Article Why Doesn’t Everyone Make Their Own Baby Food? Next Article What do I Pack for Camp EDC?